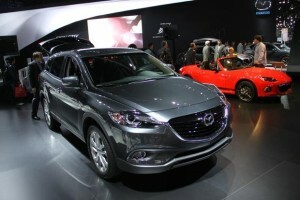 The Mazda debuted its CX 5 version just about a year ago in Frankfurt. However, the esteemed Japanese automaker has again come up with an update on its recently launched model. This is not an emergency refresh by the company but a marketing ploy to capitalize on the great response received by the company for the CX 5. Already the second best selling vehicle for the brand, the Mazda has undergone a few major but necessary changes for its 2014 version. The biggest change has been the introduction of a 4 cylinder 2.5 liter Skyactiv engine which produces an output of 184 horsepower and 185 lb – ft of torque. This is 29 HP and 35 lb – ft more than the previous model. Moreover, despite the changes in its engine, the Mazda has not compromised in its fuel efficiency. It gives a city mileage of about 25 m.p.g. And a highway mileage of 32 m.p.g. One of the biggest reasons that the Mazda has not compromised on fuel economy despite a larger engine, is its lighter weight. The car is about 14 pounds lesser than its already light 2013 model. Moreover, one can choose in between its 6 speed manual transmissions or its 6 speed auto transmission. 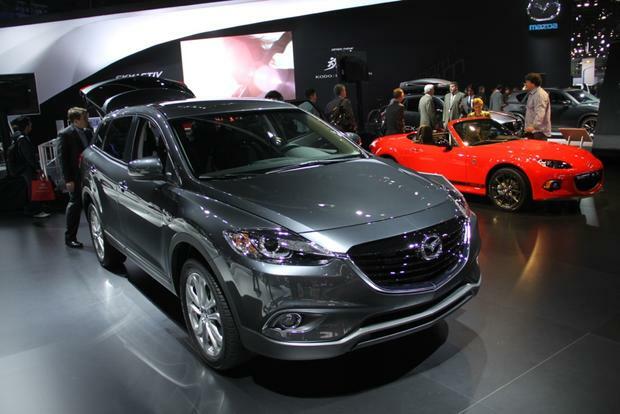 The 2014 Mazda CX 5 has also been granted a couple of new technologies. The one which has made the maximum headlines is the use of a Smart City Break support which uses a laser sensor that is located on the top of the windshield to determine if there are any close objects in the road ahead. If the sensors do sense an obstruction, it automatically puts pressure on the brakes to prevent potential collisions. The 2014 Mazda can also receive text messages on its 5.8 inch touchscreen and read it out aloud to the driver. The system also has the capabilities of sending display messages as well.